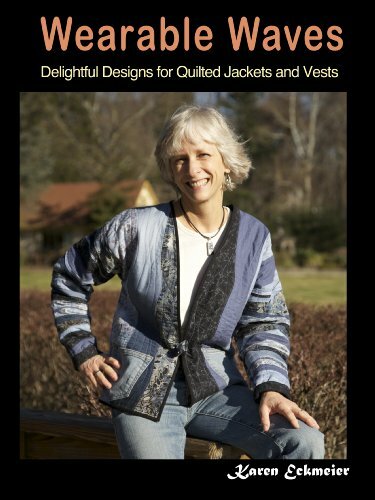 Create elegant quilted jackets using Karen’s Layered Waves topstitching technique for dimensional curves and angles. Choose from 10 casual open front jacket styles. The secret to the great fit is using a sweatshirt as your pattern base, but you can use your favorite jacket pattern too. As a bonus, a doll jacket and teddy bear vest pattern are included. Simply irresistible!